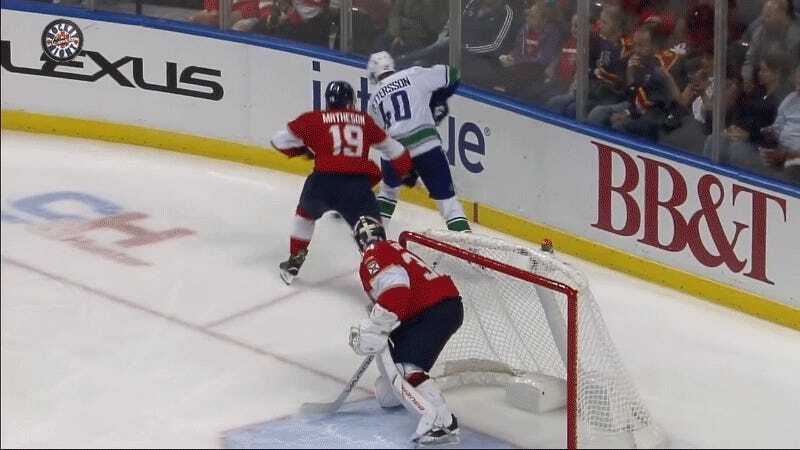 Panthers defenseman Mike Matheson has been handed a two-game suspension by the NHL for this slam on Vancouver’s Elias Pettersson, who is now out indefinitely with a concussion. It was an unnecessary hit, and yes, a dirty one, but there’s no way DoPS would have punished this if it hadn’t injured a young star. The hit—it’s weird to call it a “hit,” because it’s really more Matheson just spiking the off-balance Pettersson into the ice—took place in Saturday’s 3-2 Canucks win, and Pettersson immediately left the game. The team announced yesterday that Pettersson is in the concussion protocol and will be out at least 7–10 days. Emphasis on the “at least,” because you know how these things are. The Department of Player Safety announced the suspension last night, for “interference and unsportsmanlike conduct.” In explaining the suspension, the video noted “[some] hockey plays that are legal, or sufficiently penalized by the on-ice officials. This is not such a play. This is not a hockey play.” Matheson will also lose two game checks totaling more than $52,000. 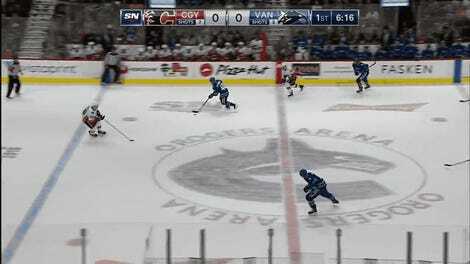 If this is “not a hockey play,” it’s also not totally uncommon. You see all the time guys “finish their checks” with a move entirely separate from the check itself, to put a player off his skates. Matheson wasn’t even penalized during the game. What was rare and notable here was not Matheson’s intent, but the outcome: Pettersson landing on his head, getting concussed. The 19-year-old Pettersson, a preseason Calder favorite, has five goals and eight points in his first five games, and the NHL very much wants to protect players like him. To put it plainly, even setting aside the level of the NHL’s actual interest in legislating out or reducing brain injuries, Pettersson is more valuable to the league than Matheson. The NHL, to its credit, openly acknowledges that injuries are taken into account when determining fines or suspensions. So at least within that internal logic, it’s consistent. But it feels like it would be fairer and more logical overall to punish actions regardless of outcomes; if a play is unnecessarily dangerous, it’s dangerous, no matter who gets hurt and how many goals he has.